Planning to study in the U.S? It is quite natural to have big dreams; after all, USA is known as the ‘Big Apple’, the land of opportunities where everyone lands with a dream of a better life and future. However, let us be realistic, getting that first job on graduating is not going to be a cake walk, no matter where ever you are. USA job market is no way different but being an international student the odds might be a bit more stacked against you, but the picture is not all that gloomy. 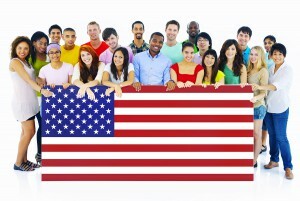 International students are known to be real fighters and have made successful careers in the US. Though they might have a bit of struggle initially, opportunities are to be had for the talented and committed lot. Though there are no short cuts to landing that coveted first job in USA, doing a couple of things right can help you get that big break in life, let us see it one by one. Planning is vital, if you are looking to land a job soon after graduation. Starting early has its benefits, as you are expected to address concerns that US employers normally have with International students, relating to visas complexities and related retention difficulties, English language skills etc. Waiting till graduation to start your job hunt is a pretty bad idea. Get on to work on that crucial CV of yours and start your job search straight away. An internship would be a great beginning, as you are gaining valuable experience. Getting to know people at right places would open employment avenues and can improve chances of sponsorship after graduation. It pays to be knowledgeable. Having a fair bit of idea about the type of visa one would require, the process involved in gaining them, costs and deadlines, potential sponsoring companies whom you can approach etc will help you in effectively moving ahead with your job hunting. Your schools international office or career cell can give you valuable guidance and help in your job hunt. It would be a wise idea to meet the career guidance officer of your in situation and appraise him about your specific case and career goals and ask for his guidance. These blokes have loads of experience, guiding students like you and can turn things for you. Visiting career fairs and interacting with recruiters is a pretty good idea. Though you might not be offered a job instantly, but there is pretty good chance that you will gain valuable insights from these interactions that would come handy in your successive interviews. Networking yields results where conventional method doesn’t. Having the right contact helps. It is an indisputable fact that majority of people get job offers through solid contacts. The right place to start networking would be your campus it is always advisable to develop a friend circle within the campus, visiting the alumni network on the net helps as they might give you valuable tips drawing from their own experience .Build a strong relationship with your professors and class mates. Visit their homes if you get an invite, this will open up opportunities to meet people. Job hunting can be a harrowing process for most of us. Develop a cool head with lot of positive thoughts to motivate, when the chips are down. Job hunting may not show visible results within a matter of days; this is where demoralization and negativity sets in. Ward off such negative thoughts and focus on your strengths. Convince you mind that you have it in you to succeed and you will succeed. The entire struggle you encounter mentally will make you a mentally strong employee, whom every company would like to have on their payrolls. So relax, choosing USA as you r study destination is the best decision you could have made. Need more information with regard to the best universities and programs to choose? Contact Santa Monica study Abroad Pvt. Ltd, your trusted overseas education facilitator with over 13 years of expertise in the overseas education consultancy domain, facilitating admissions to reputed universities/institutions across U.SA. For more info call us on 0484-4140999 or visit www.santamonicaedu.in. This entry was posted in Jobs in U.S.A and tagged Job in U.S.A on February 27, 2016 by Ronnie Fredrick Thimothy.